Bills Governor Brown Signed September 2012 | Employee Rights Law Firm Serving the needs of California’s employees from Santa Barbara to San Diego. SB 1038 reduces the cost to the State by reorganizing and reducing the size of the Department Fair Employment and Housing. Specifically, effective in January, the Fair Employment and Housing Commission is abolished and a Fair Employment and Housing Council within the Department of Fair Employment and Housing will be established. The Council will consist of seven members appointed by the Governor and will have the power to issue regulations. The DFEH will now be able to go directly to court and seek all remedies available there, but must first engage in mandatory dispute resolution, with the DFEH’s internal Dispute Resolution Division, free of change. The bill would also establish a Fair Employment and Housing Enforcement and Litigation Fund in the State Treasury for purposes of depositing attorney’s fees and costs awarded to the DFEH in certain civil actions, which will then be appropriated by the Legislature to offset the costs of the Department. This bill includes a religious dress practice or religious grooming practice as a “belief” and “observance” covered by Fair Employment and Housing Act protections against religious discrimination. The bill broadly defines “religious dress practice” to include the wearing or carrying of religious clothing, head or face coverings, jewelry, artifacts, and any other item that is part of the observance by an individual of his or her religious creed, and “religious grooming practice” to include all forms of head, facial, and body hair that are part of the observance by an individual of his or her religious creed. The bill specifies that an accommodation of an individual’s religious dress practice or religious grooming practice that would require that person to be segregated from the public or other employees is not a reasonable accommodation. Finally, the bill would provide that no accommodation is required if it would result in the violation of certain laws protecting civil rights. Existing law prohibits the employment on a motion picture set or location of an infant under the age of one month unless board-certified pediatric physician and surgeon certifies that the infant is at least 15 days old, was carried to full term, was of normal birth weight, is physically capable of handling the stress of filmmaking, and the infant’s lungs, eyes, heart, and immune system are sufficiently developed to withstand the potential risks. Violation of this provision is a misdemeanor punishable by a fine of $2,500 to $5,000, 60-day jail term, or both. The certification must be provided to the Labor Commissioner, who will consent to the minor’s employment through issuance of a permit. This bill would require the medical certification be provided before a temporary permit for the employment of the infant may be issued. Amends Section 1308.10 of the Labor Code. The federal Patient Protection and Affordable Care Act (PPACA), requires an “essential health benefits package” to be included in any small group or individual market policy issued by a health insurance carrier/issuer. Existing state law places certain requirements on a self-funded or partially self-funded multiple employer welfare arrangement (MEWA), for the MEWA to provide benefits to any California residents with benefits. Existing law limits those MEWA’s to providing certain benefits, including medical, dental, and surgical. This bill would, commencing January 1, 2014, prohibit a MEWA from offering, marketing, representing, or selling any product, contract, or discount arrangement as minimum essential coverage or as compliant with the essential health benefits requirement under the federal Patient Protection and Affordable Care Act, unless it meets the applicable requirements under that PPACA. [Already enacted] An employer who enters into an employment contract with an employee involving commissions as a method of payment must put the employment contract in writing and set forth the method by which the commissions will be computed and paid. So, beginning next year, an employee commission agreements: (1) be in writing; (2) set forth the method by which the commissions are required to be computed and paid; and (3) contain a signed receipt for the contract from each employee. Amends Section 2751 and repeals Section 2752 of the California Labor Code. 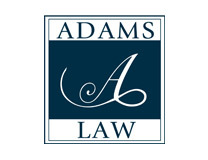 If you have any questions that arise about these new bills signed by Governor Brown in September 2012, or you feel your employment rights are being violated in any respect, give Adams Law a call at 805.845.9630.